And that is the honest truth because this Indie Mixer took place about 2 weeks ago and only now I am getting around to tell y’all about it. Time is of the essence and these days, my time is scheduled to the brim. Better late than never!! The weekend of March 22nd brought an annual soiree that should be on the calendar of any soul lover. The Indie Soul Mixer is a social event organized by singer Dexter Myers and UK soul man Mike Ashley, that took place at Billie’s Black in Harlem. This was my second year attending the Mixer and it surely will not be my last. Last year was a bit different in a sense. Like last year, there were words of wisdom that were given to the attendees by notable speakers Dexter Myers, Marco Nobles of Rhythmandsoulradio.com, Mike Ashley, Kevin Harewood of Edclectic Entertainment, Terry Bello of the International Soul Music Summit and Drake Phifer of Urban Organic Entertainment. The reoccurring theme with all of the speakers was to use the contacts that were made that night. Do you and continue to do you, in the process of creating and distributing what you love to do. Whether it is singing or songwriting, the whole idea is to follow through and make sure that you make it what you want it to be. Terry Bello even went as far as inviting everyone who was at the Mixer that night, to the International Soul Music Summit for free. Yes, free y’all. You know your girl signed up and I am hoping to make it too. Fingers crossed. However, the jam session was insane! The stage was free reign for the soul massive in the house. One by one or even as duets, we heard covers of The Isley Brothers, Marvin Gaye, Chaka Khan and Al Green and also freestyles by artists who just let it rip on the mic, while the house band laid the track down. It was phenomenal. There were so many amazing people in the house – in other words, the place was PACKED. And I mean wall to wall, to the point where people were outside talking. Or people had time come through, go do something and come back. It was insane. There is no way I can even remember or go through everyone who was there. But off the top of my head: Green Tea, Kenny Wesley, Robert Ball, Lasonya Gunther, Abby Dobson, Nikki Wade, Kimberly Nichole, Drea, Johnny Kemp, Mika, Kendra Ross the ladies of ONUTSS Pam Nichols and Detrel Howell, the men of Damn Good Music Troy and Walter and the list goes on and on. 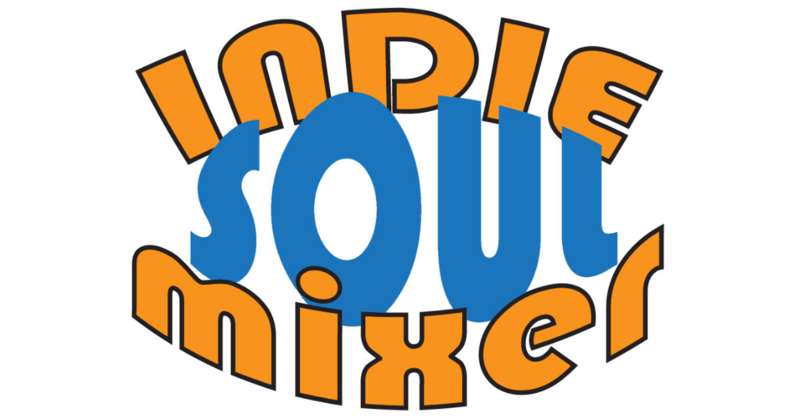 The Indie Soul Mixer is most definitely a night that will be on my social calendar, no matter where I lay my head. I will always find my way back to NYC for this soiree. If you are an artist, songwriter, blogger, writer etc – this would be the place for you to be. Come ready and equipped – bring your demos, your singles, your albums, your business cards and even pen and paper. Just come prepared. After all, it is a mixer, so get ready to schmooze. The turnout this year will most likely double next year and I am sure this will most definitely cause the venue to change. Nonetheless, take a trip down to New York City next year, you will not regret it.